Despite the economic crisis, Russian oligarchs are not in a hurry to part with the finer things in life, of which a yacht is an indispensible possession. At the end of June 2016 Lurssen, one of the most famous producers of elite yachts, confirmed the dimensions of the new yacht belonging to billionaire Alisher Usmanov. According to Forbes, Russia's wealthiest person is worth $12.5 billion. His yacht Dilbar, named in honor of his mother, is 156 meters long and weighs 15,917 tons, making it a record holder in terms of capacity. This is not the yacht's only record. It also has the largest yacht pool in the world (180 cubic meters) and the most powerful diesel engine with a capacity of 30,000 kW. 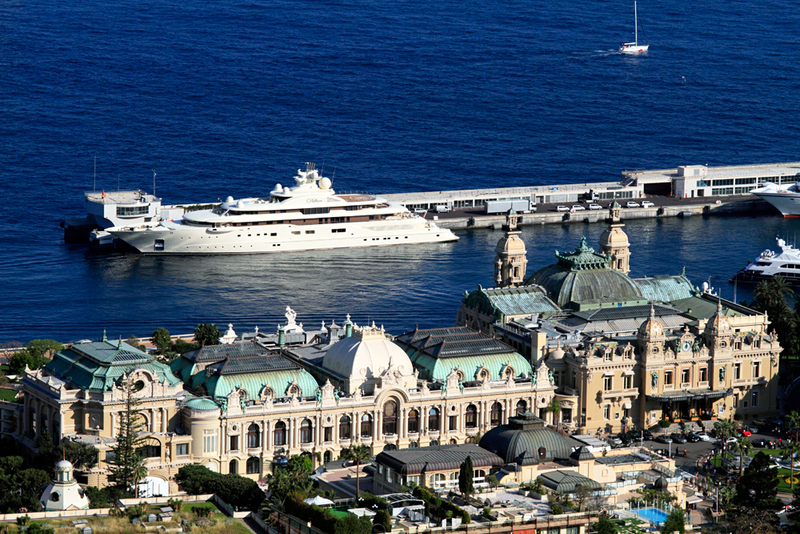 Usmanov's yacht features two helicopter pads, a movie theater, an elevator and a Jacuzzi. The vessel's value has never been publicly revealed, however, according to some estimates, it is worth almost $600 million. Roman Abramovich, worth $7.6 billion and owner of the Chelsea Football Club, has long been a trendsetter among the Russian rich. He was one of the first Russian oligarchs that were not embarrassed to show off their expensive mansions and opulent yachts to the world. For almost a year the billionaire was the owner of the world's longest yacht. The Eclipse (162.5 meters) held the title until it was beaten by Azzam (180.6 meters), a yacht belonging to the family of Sheikh Khalifa bin Zayed Al Nahyan, president of the United Arab Emirates. It took five years to design and build Abramovich's yacht. It is equipped with a 500-square-meter command deck, an exhibition hall, two pools, a concert hall, a movie theater and a wine cellar. Its cost of construction is estimated to have been between $400 million and $1.2 billion. The Sailing Yacht A, which belongs to billionaire Andrei Melnichenko (worth $8.2 billion), is the world's largest sailboat. It has eight decks and can accommodate 20 guests and 54 crewmembers. The yacht also makes a remarkable impression with its luxurious interior. It has a transparent bottom in one of the rooms allowing guests the opportunity to observe marine life. The vessel was designed by Frenchman Philippe Starck and its estimated value is $404 million. Mikhail Prokhorov, who is worth $7.6 billion and ran for the presidency of Russia in 2012, cannot be called a yacht lover. He himself says that he spends no more than two weeks a year on his boat. Nevertheless, he possesses a rather unique vessel, the Palladium. Its particularity lies in its unusual futuristic exteriors, which were developed by the Michael Leach Design firm. In 2010 it was nominated for the prestigious World Yachts Trophies for best design. The Palladium’s value is estimated to be roughly $230 million. Read more: Why has Roman Abramovich’s son become a cucumber farmer?